The bicentenary of the Marist pledge at Fourviere on 23 July 1816, was marked with the celebration of Mass in the Basilica of Our Lady of Fourvière, Lyon, France. The basilica adjoins the chapel where Marist aspirants signed the pledge to found the Society of Mary. Fr John Hannan SM, Superior General of the Society of Mary, presided at the Mass which was streamed live on the Internet. Joining Fr Hannan were representatives of the Marist Sisters, SMSM Sisters, Marist Brothers, Marist Fathers and Marist Laity from around the world. Coinciding with the bicentenary was an event Dare to Dream for lay Marist Youth. 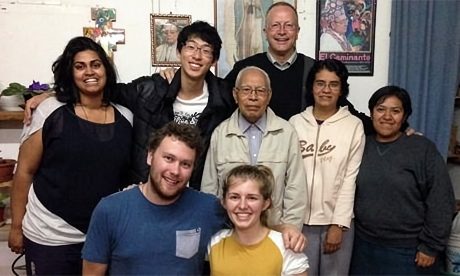 On Wednesday afternoon, 8 Marist Challenge 2000 Gap year students who have recently returned from their month-long pastoral placements, reported back to their friend and colleagues gathered at Pa Maria in Wellington. This year the ‘Gappies’ went to a variety of placements around New Zealand and overseas. They were sent to the far north of Aotearoa New Zealand to the Hokianga, down to the far south of Dunedin, Hawke’s Bay and to Samoa and Mexico. The Gap students all left the familiar and ventured into the unknown. All of them experienced different cultures and languages, and different ways of living. The placements included assisting at primary and secondary schools, disability services, rest homes, religious communities, and other community agencies. These placements presented opportunities for developing new skills and learning new things, meeting new people, experiencing different charisms which exist in our faith communities, utilising their own talents and finding out more about themselves. During the students’ presentations about their pastoral placements each student reflected on the impact that their placements have had on each of their lives, and how it helped them to develop mentally, emotionally, spiritually and holistically. They spoke of the difficulties of being somewhere new and foreign, the insights they gained, the enjoyment of new challenges, and most importantly the people they met. Those listening described the reporting back as “very moving”. “The impact of the experience is significant and profound for the Gap students and their futures”, said leader of the Gap programme, Kitty McKinley. 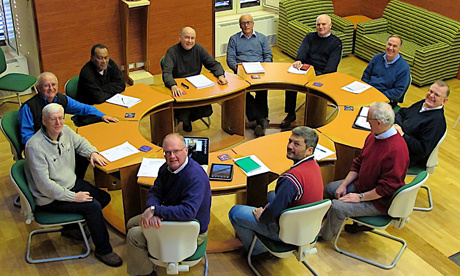 The third meeting of the Finance Review Committee took place at the Society of Mary’s general house, Rome from 16 to 18 January. Using data gathered from around the whole Society, the meeting reviewed a draft analytical report compiled by Mr Munro O’Dwyer, an Actuary from PwC Dublin. The committee also discussed the report with the Superior General and his Council. 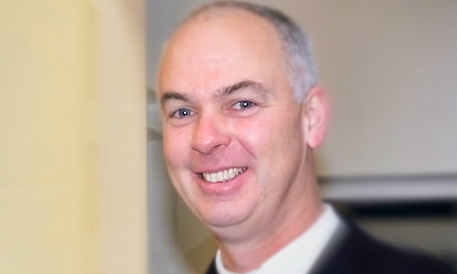 The Committee was established by Marist Superior General, Fr John Hannan and is tasked to prepare a report for him on financing the future of the Society of Mary. The committee is confident it is in a better position to prepare a preliminary report for the superior general, but before doing so is seeking further comment from Marist provinces and districts. The members of the Committee are Frs Joaquin Fernandez, John Harhagar, Kevin Mowbray (chairman), John Murphy, and Mr Donal O’Brien (advisor). The meets again in May. The International Marist Novitiate starts in Tutu, Fiji in February and until then, the novices have begun a month’s inculturation/orientation program. The program is being conducted with the help of Columbian Fr Frank Hoare, and of several Fijian Marists. The master of novices, Fr Pat Breeze, the assistant novice master, Fr Boniface Kevon, and Fr Fritz Arnold are also taking part in the program. Ten novices will begin the novitiate, Ehrem Anifegia, Julian Tenevi, Daniel Pambaru, Jason Hiamu and Julius Nalei from Oceania, Matthew Gravatt, Adrian O’Flynn and Brendan Jenke from New Zealand, Andres Sanchez from the USA, and Tom Koulijzer from Europe. 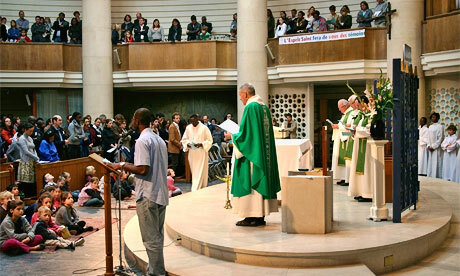 A consequence of the England riots is the Society of Mary’s International parish near Leicester Square, in the middle of London, has not been able to fulfil its usual bread deliveries. Parish Priest, Fr Paul Walsh SM leads the celebration of the Eucharist at Notre Dame de France. Ironically the reason for inability to deliver the bread is not the local London riots, but further away in Tottenham, where the bread is baked. “As a result of the Tottenham riots, the baker that usually provides our bread needed to stop production for a few days,” Marist Father, Bernd Kordes said. London is such a huge place that disturbances can occur in one area but make not apparent impact on others, but Fr Kordes says they are being cautions and closing the Church a little earlier than usual. “As an inner-city parish, many of our African parishioners live in areas that have been affected, however to the best of our knowledge we don’t know of anyone being directly caught up with the effects of the riots,” he said. Reflecting on what’s happened, Fr Kordes commented the Marist community, like everyone else, is a little bemused by the sudden outbreak of violence and the involvement of so many young people. “They’re asking serious questions about the fabric of society in which we live,” Fr Kordes said.